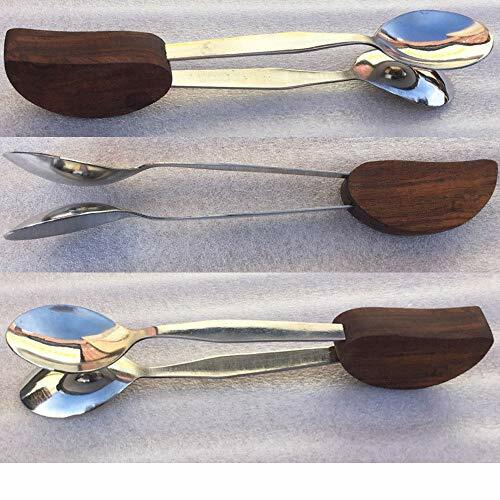 AAR Brand New Traditional Irish folk Rosewood Metal Stainless Steel Spoons produce an incredible bold sound. Made from a dense, polished wood they are 20.50 cm long and are perfect for groups or as a backing sound to music or vocals. They are ideal for playing folk music such as Irish, Scottish or Appalacian. They produce that sought after percussive 'clip-clop' sound. Ideal for playing folk music such as Irish, Scottish or Appalacian. Produces that sought after percussive 'clip-clop' sound.